Welcome to Citywest Educate Together National School! Please have a good look around our website. As well as reading all about us, we update each week with news from the school. The children even have their own website under Classes. Here we keep our families up to date on the learning and activities going on in school. You can see pictures of the children and their work. We also put in ideas of how you can help your child's work at home through activities, home-school links and interesting learning websites. We have a new school crest! This is our new school crest! In January 2018, as part of the process of creating a new school crest or logo, we asked our community (pupils, parents, staff and Board of Management) what is important about our school - what should be represented on the crest/logo as a way of telling people who we are. Most of the responses came from the children and we are so proud to see what they value about our school. 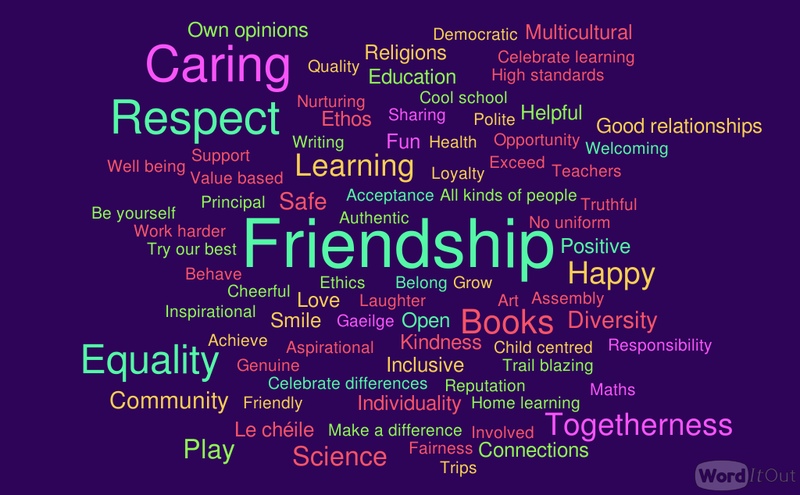 ​The more times a word was suggested, the bigger it appears on the word cloud - that the children see what's important about our school in the following 8 words, in order of importance, is the best message we could get - we know we're doing something right! While most classes are full for this school year, with waiting lists closed, we do have a limited number of places available for 3rd class. Pre-enrol online or visit the school office for more information. Please support our parents in campaigning for an Educate Together second-level school for Citywest! 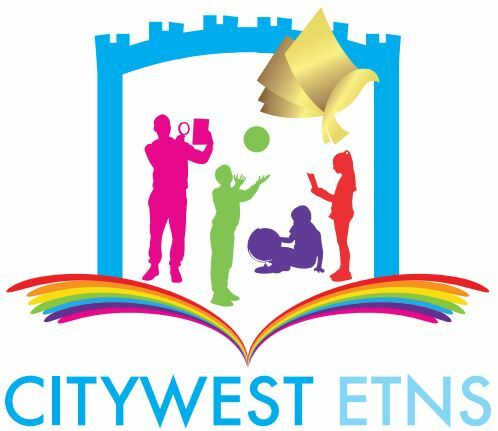 Citywest ETNS' Registered Charity Number is 20120528.